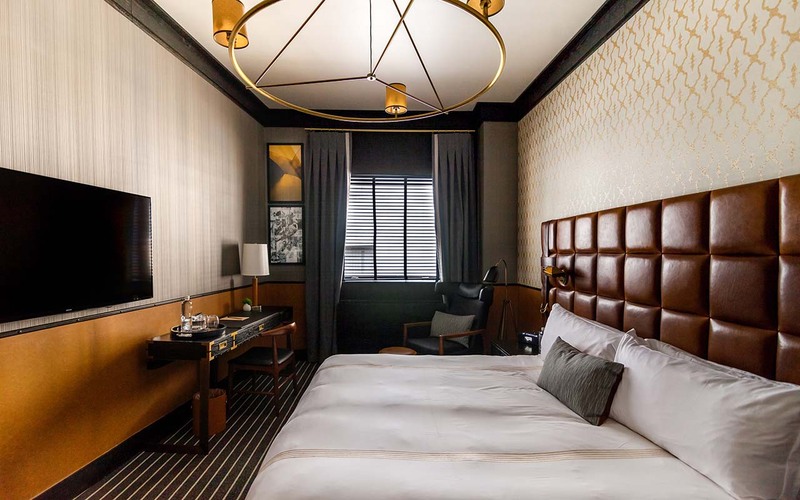 Located in New York’s Financial District is Gild Hall, a new luxury Thompson Hotel near the South Street Seaport, Battery Park, Wall Street and One World Trade. 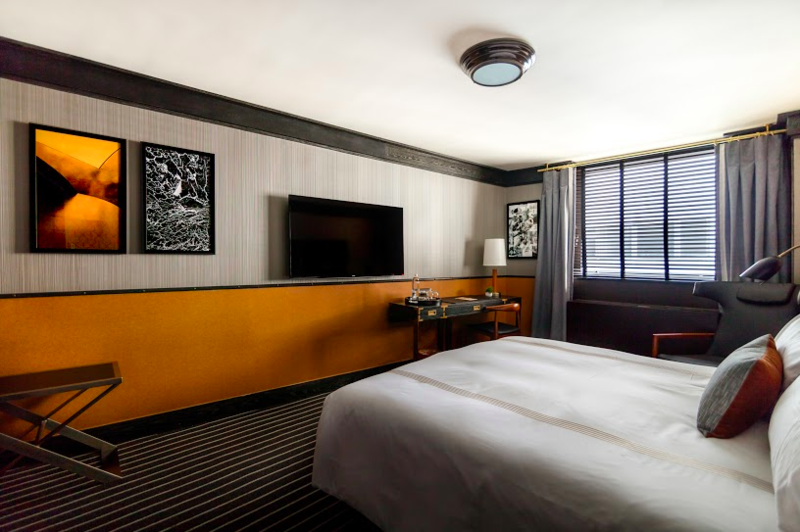 Gild Hall's upscale design aesthetic exudes a classy, yet comfortable sensibility that caters to hip business travelers and tourists. The design team at Bill Rooney Studios styled each guest room with touches of leather, gold, and brass as a nod to the property's historical Wall Street location. We worked closely with the design team to curate a custom collection that represents Gild Hall's old boy’s club aesthetic. Photographs by Tony-Vazquez Figueroa, Rajmohan Fotograf, and Llewellyn Berry compose this three-piece photographic story that allegorically visualizes the chaos, grandeur, and excitement of contemporary business. Venezuela-born Tony Vazquez-Figueroa is recognized for his superior talent in advertising in addition to his visually artistic sensibilities. Thing 5 exudes elements of masculinity, functionality, and power, three themes often associated with Lower Manhattan. 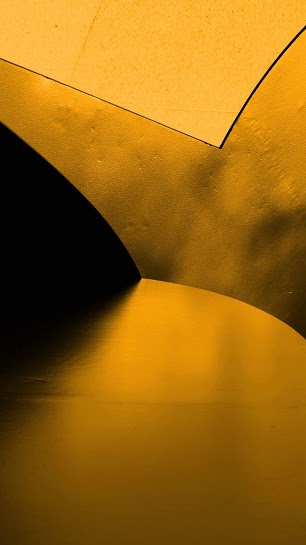 Rajmohan Fotograf is an NYC photographer whose expertise lies in revealing beauty in seemingly mundane places. He seeks to capture extraordinary visual moments by creating unique, often non-representational compositions. 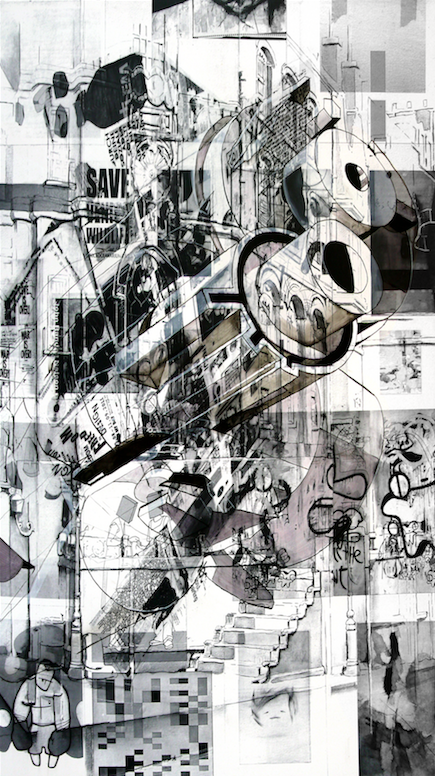 The fractured dark hues visually represent the complexity and chaos of contemporary life. 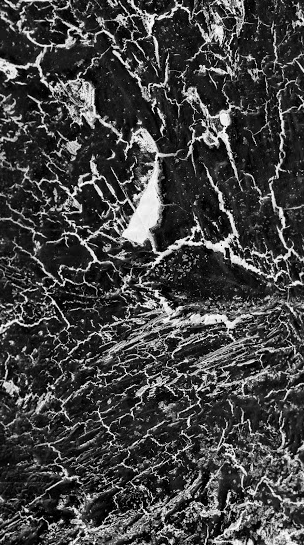 Llewellyn Berry focuses on representational and abstract imagery in his extensive photography repertoire. He also makes photo-etched plates through Intaglio printmaking. His piece Calder with Rothko Influence is a stately image that echoes sophistication and grandeur. We paired Fotograf’s stark Ars Gratia Artis 148 with Berry’s brass-toned Calder with Rothko Influence to create a compelling contrast of warmth, complexity, and formality while Vazquez-Figueroa’s Thing 5 illustrates the beauty and chaos of Lower Manhattan. Learn more about what Gild Hall has to offer over on their Facebook Page.